Yemeni political parties and political forces announced in Sayoun city the declaration of the National Alliance, which supports the legitimacy and restoration of the state. In a statement issued by the National Alliance for Yemeni Political Forces (NAYPF), the statement said, “The Yemeni parties and political forces are aware of their national responsibility to strengthen their political role in supporting the restoration of legitimacy, ending the coup, rebuilding state institutions and extending its authority over the entire Yemeni territory. The political parties and components of this alliance held a series of continuous meetings , which were devoted to discuss various political issues related to the situation in the country, and a review of the performance of the various national parties, including the role of political parties and organizations in particular, and how important it is restored to its position in the partnership as an integral part of the constitutional and consensual legitimacy in this critical and articulated the historic moment”. This activity, which was accompanied by the generous patronage of His Excellency President Marshal Abdu Rbo Mansoor Hadi, President of the Republic, culminated in this formation which parties and political parties announced today. The formation of this alliance stems from the logic of national necessity and in response to the need of the political arena for the existence of a comprehensive framework for the various components and political forces in order to support the path of state restoration, peace and ending the coup, the restoration of the peaceful political process and implementation of the outputs of the national dialogue, the statement stressed. 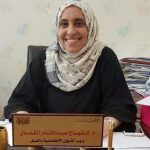 “The approval and the political of all documents of the coalition, and executive program and executive regulations, derived from the visions of political components of the requirements of the stage,” the statement included. The formation (NAYPF) stems from the logic of national necessity and in response to the need of the political arena for a comprehensive framework for the various components and political forces with the aim of supporting the path of restoring the state, bringing peace, ending the coup, restoring the peaceful political process, and the construction of the federal state. 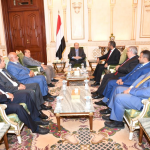 The Yemeni political parties stressed their adherence to the option of peace, which comes from their principled commitment to the three terms of reference, which guarantees the end of the Houthi coup. The parties and the components in this alliance are keen to open the door to all political forces and components of the peaceful southern movement and the peaceful youth revolution, to participate in the coalition on the basis of national partnership and the restoration of the political process. According to the statement, (NAYPF) includes the parties of the General People’s Congress, the Yemeni Reform Party, the Yemeni Socialist Party, the Nasserist Popular Unity Organization, the Southern Movement for Peace, the Justice and Building Party, the Yemeni Rashad Union, the Nahdha Movement for Peaceful Change, the National Solidarity Party, the Union of Popular Forces, the Yemeni Unionist Rally, The Party of Peace and Development, the Republican Party, the People’s Democratic Party, the Liberation Front and the Republican Union.